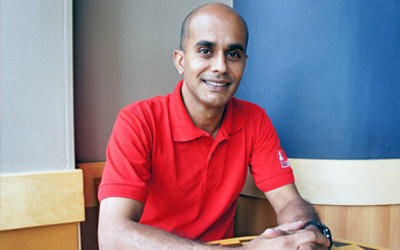 Singapore Democratic Party politican Vincent Wijeysingha officially came out as a gay man on his Facebook page on Friday. This makes him Singapore's first openly gay politician. The 43-year-old social work lecturer's Facebook post was in reply to another post from Facebook page Fabrications About The PAP. The latter contained the phrase "come out of the closet like Vincent Wijeysinha (sic)". In response to Fabrications, Wijeysingha wrote, "Just in case Fabrications About The PAP is wondering, yes, I am going to Pink Dot tomorrow. And yes, I am gay." Pink Dot is a non-profit movement to celebrate the freedom to love regardless of sexual orientation. It is attended by lesbians, gays, bisexuals and transgenders, together with straight allies. It will take place for the fifth time on Saturday (29 June) evening. Wijeysingha also wrote that "I don't have a gay agenda", referring to an incident in the 2011 general elections when Member of Parliament Vivian Balakrishnan accused him of pursuing the "gay agenda" in politics. Reactions on social media have been generally positive. Wijeysingha's post has garnered more than 300 likes thus far. Veteran actress Neo Swee Lin commented, "Love and respect to you". Facebook user Roderick Teh chimed in, "I've always believed that the politicians who are totally comfortable with their sexual orientation are ultimately going to be the most respectable and most productive individuals voted into public office. So take note - Vincent Wijeysingha is a truly worthy politician." On Twitter, Ng Yi Shu, writer for sociopolitical site The Online Citizen, tweeted "#respect" while Twitter user Maria Rowe tweeted, "A virtual hug of support for Vincent Wijeysingha."